Captain William Howard Smith arrived in Melbourne 7th July 1854 aboard the steamer 'Express' as Captain and part owner with engineer S B Skinner. 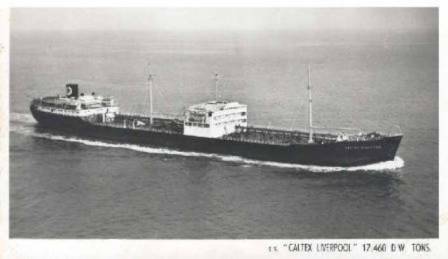 From 3rd October 1854 commenced working the Melbourne - Geelong Port Phillip bay trade, considered as the first regular passenger service on the Australian coast. 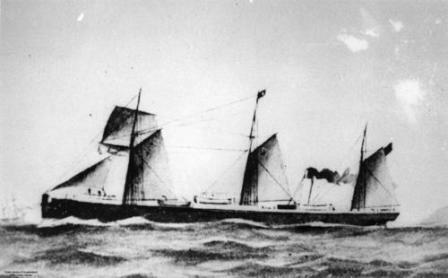 1862 sold his half share in the Express to T J Parker of Geelong and set out to England, returning with the steamship 'Kieff" in 1864. 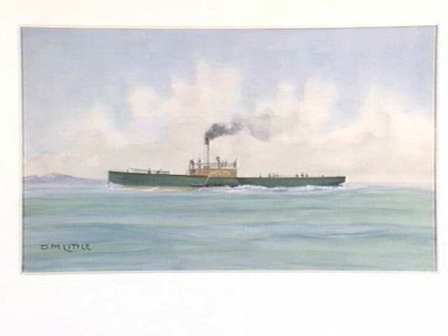 Along with A G Robinson of London, and Melbourne coalfactor, J L Burke, as part owners the 'Kieff' was renamed 'You Yangs' and serviced from late 1864 the Melbourne - Sydney - Newcastle service. 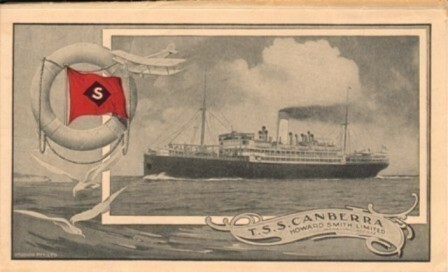 The service was advertised under the title 'Melbourne Steam Ship Company and proved popular with the limited accomodation provided for passengers. This brought about the purchase of a second vessel, 'Dandenong' in 1867, again a commercial success as a passenger-cargo vessel. These partners formed the Melbourne Steamship Company (unincorporated) 1869 acquiring several vessels until 1883 when a dissolution of the company saw each business partner going their own way. William Howard Smith took with him at least two steamers, the Edina and the Rodondo, and in October 1883 W Howard Smith & Sons Ltd., was formed. 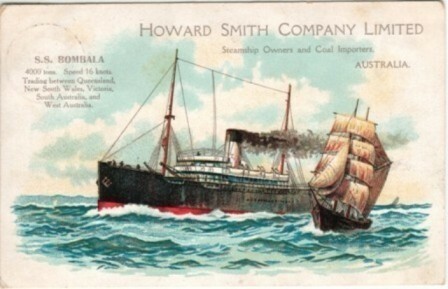 July of 1901 Howard Smith Limited came into being and December 1913 evolved into Australian Steamships Limited. By 1868 services were extended to Newcastle and in 1880 regular services operated to Maryborough, Adelaide, Brisbane and Rockhampton. Coastal routes rapidly expanded until 1947 when the company's involvement in the inter colonial passenger trade ceased. 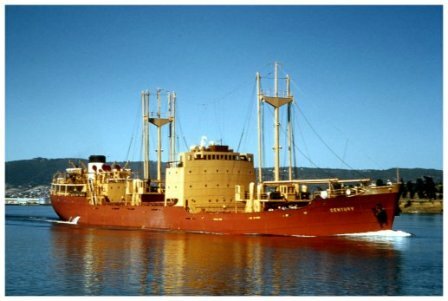 June 1964 name changed to Howard Smith Industries Pty Ltd.
Ironically whatever was left of the 'second' Melbourne Steamship Company, which name changed to Melbourne Steamships Limited, was bought out during 1961 by this concern. The company was also heavily involved in the towage, salvage and stevedoring industries. Howard Smith withdrew from the traditonal shipping business in 1996 and from the towage industry in 2001 and the company was taken over by Wesfarmers Ltd., Perth. 7,710 gross tons, 4,094 net. Lbd: 410' x 57'2" x 38'4". 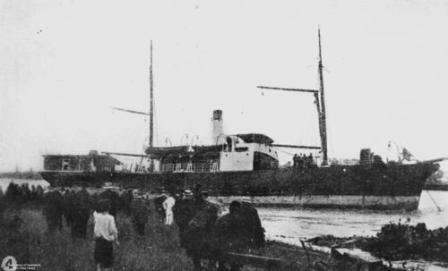 (125.0 x 17.4 metres) Steel hulled, twin screw passenger-cargo steamship built by Alex Stephen & Sons, Linthouse Glasgow for Australian Steamships Ltd (Howard Smith Ltd) Melbourne. Quadruple expansion engine making 15 knots. Refrigerated. Designed for the Melbourne - North Queensland run and was known to have beaten the Sydney - Brisbane train on several occasions until their coastal railway opened. 54,880 gross tons, 94347 dwt. 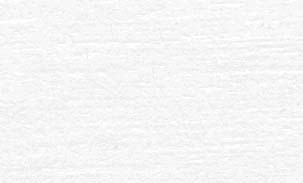 Lb: 230 x 46 metres. Single screw, diesel engine making 14.5 knots. 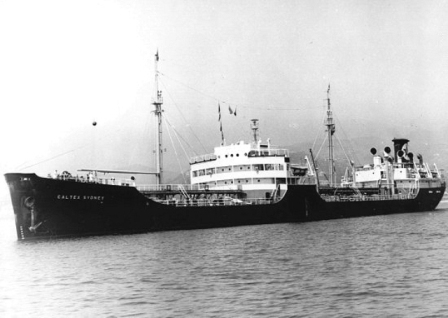 Oil tanker, ordered and laid down 1985 by Samsung at Koje Korea for R W Miller, Sydney. 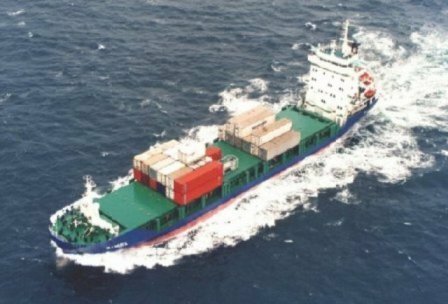 Prior to completion Howard Smith Industries had taken over R W Miller's holdings 1996 and so acquired this vessel. Sold to Golden Fleece Marine Inc, Liberia renamed Elli. Managed by Liquimar Tankers Management Inc.